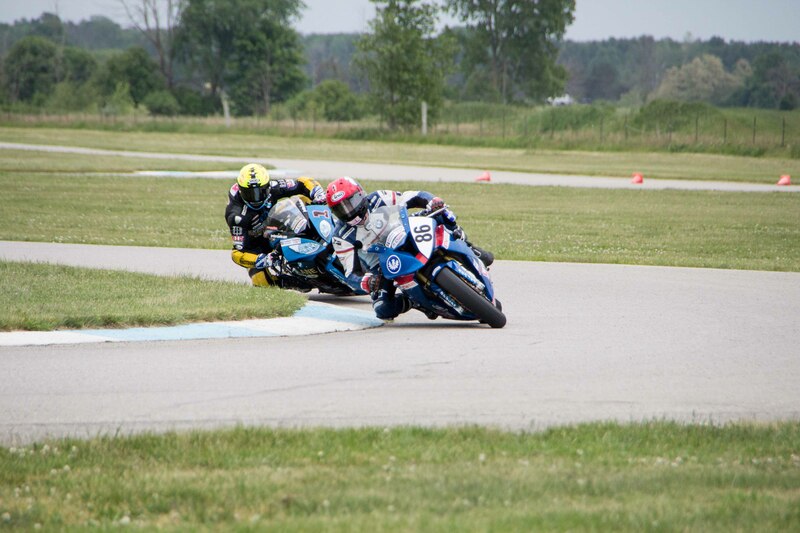 Port Perry, Ontario (June 14, 2018) - The second round of the 2018 Canadian Superbike Series (CSBK) took place this past weekend (June 8-10) at Grand Bend Motorplex in Grand Bend, Ontario. Potential Championship runner-up Ben Young pushed hard to secure the top spot in qualifying on the Scot-Build/Hindle/BMW S1000RR. 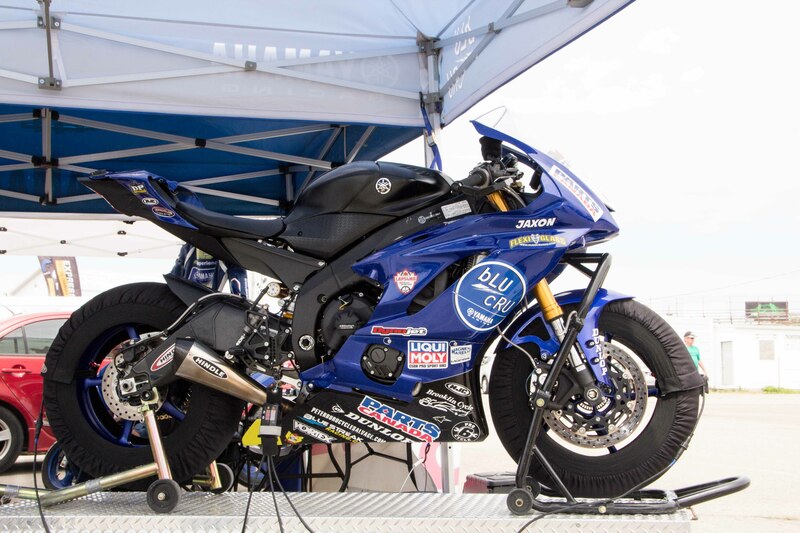 With a new found confidence in beating Szoke in qualifying, Young hoped to be able to keep up the fast pace in the Mopar Pro Superbike race. 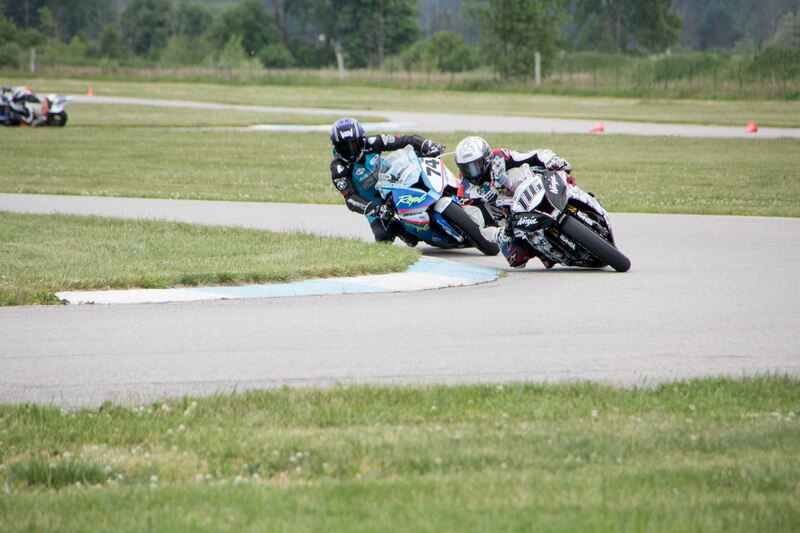 Szoke, on the Mopar Express/Hindle/BMW S1000RR, nabbed the holeshot on the start, closely followed by Young in 2nd. Samuel Trepanier, who has only been racing Pro for two years now, settled in 3rd position on his Blysk Racing/Hindle/BMW S1000RR. The 3 front-runners, all aboard BMW S1000RR machines, kept an equally quick pace throughout the entire race. With only 5 laps to go, Young made an incredible pass on Szoke for 1st place. In the last lap, Szoke was able to get by Young for an exhilarating win past the finish line, and Young came in 2nd with only a 0.171 second gap behind of Szoke. Young said, "The guys worked hard all weekend to provide me with a great bike that was able to lap consistent times, which prove for a good race. I didn't really have a plan, I just wanted to see how the start went, then play it by ear. I knew Jordan was going to be tough to beat. It's unfortunate it ended the way it did as I was hoping for a straight one-on-one battle. Looking forward to rebounding at St-Eustache!" Szoke commented, "I knew this was a strong track for Ben. When I was out front I wanted to control the pace and catch most laps lead. We've got a championship to win here and that's always the end goal. In the last corner I was able to put myself in a good position and get by for the win." Another exciting battle was between 4th, 5th and 6th place - Steven Nickerson, on the Dewildt Honda/Hindle/Honda CBR1000RR held 4th consistently throughout the race until an unfortunate crash took place. 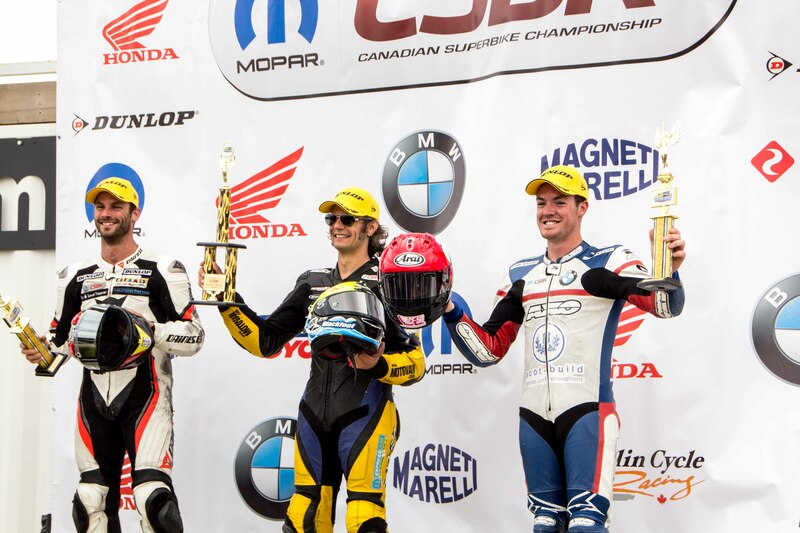 Michael Leon, on the Royal Distributing/Hindle/BMW S1000RR, kept the pace (with an injured left hand from Round 1 at Shannonville) and the battle switched between 4th and 5th with Trevor Daley, on the One Speed/Hindle/Kawasaki ZX-10R throughout the entire Superbike race. Leon ended up finishing in 4th place followed by Daley in 5th. "I had a great race with Trevor. It was fun right down to the end. My team did a great job this weekend and I'm proud of our result," Michael commented. 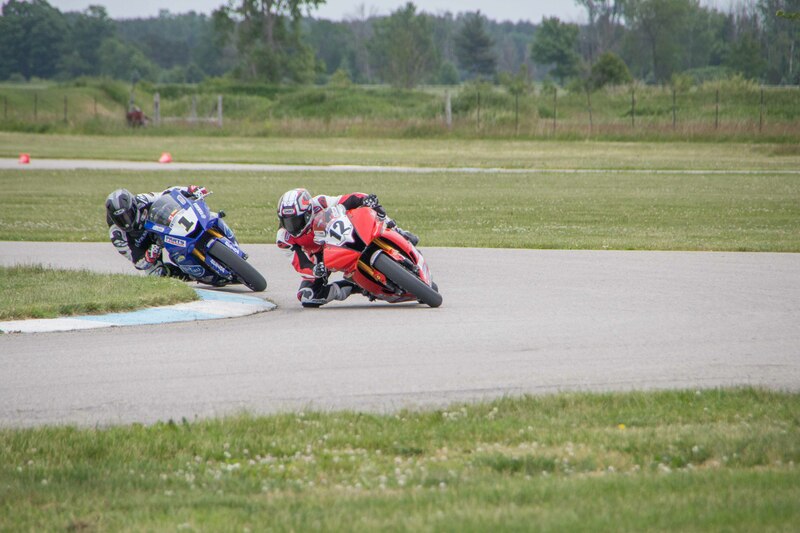 In other racing news, Tomas Casas, the Liqui Moly Pro Sportbike #1 plate holder on the Peterborough Cycle/Hindle/Yamaha YZF-R6, just couldn't take home the win against Grand Bend Motorplex regular Mitch Card. Casas stayed right on Card's tail throughout the entire 16-lap race. David MacKay, on the Mack Attack/Hindle/Kawasaki ZX-6R was on a definite roll after his first ever pro podium at the last round at Shannonville. 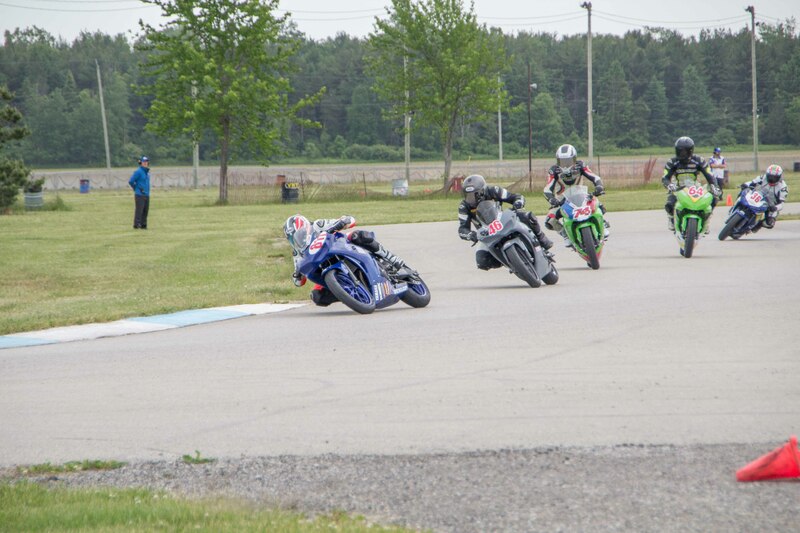 Unfortunately, MacKay crashed out of 3rd position giving the spot up to another Grand Bend regular, Dylan Bauer (Yamaha YZF-R6). The Amateur Lightweight class had their usual double-header round, racing both on Saturday and Sunday. 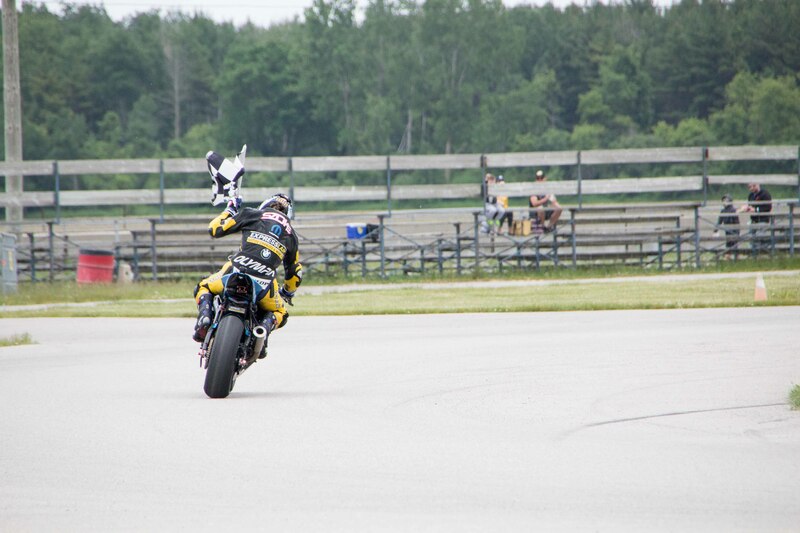 Jake Leclair, on the Oshawa Cycle/Hindle/Yamaha YZF-R3, continued his winning streak by winning both back-to-back races. The 17 year old from Blackstock, Ont. has his eye on the prize as he hopes to continue this winning streak at Round 3 in St-Eustache, Quebec in a few weeks. 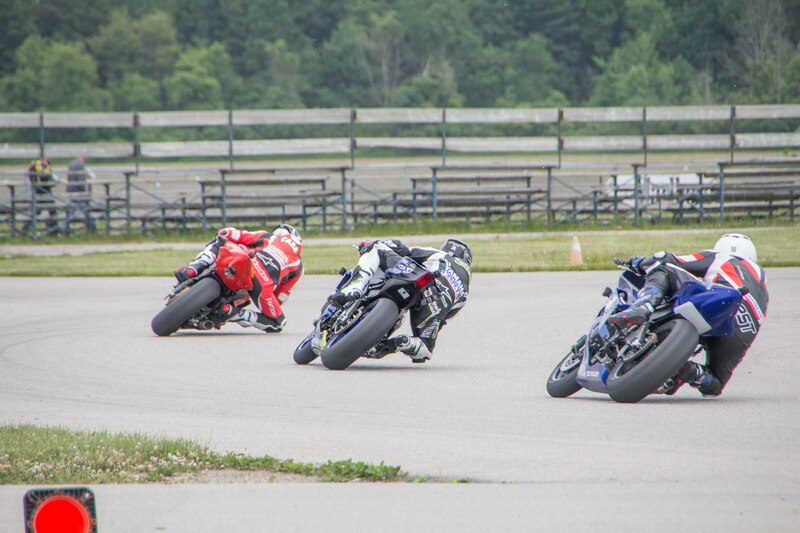 Round 3 is taking place June 29-July 1 at Autodrome St-Eustache in St-Eustache, Quebec. 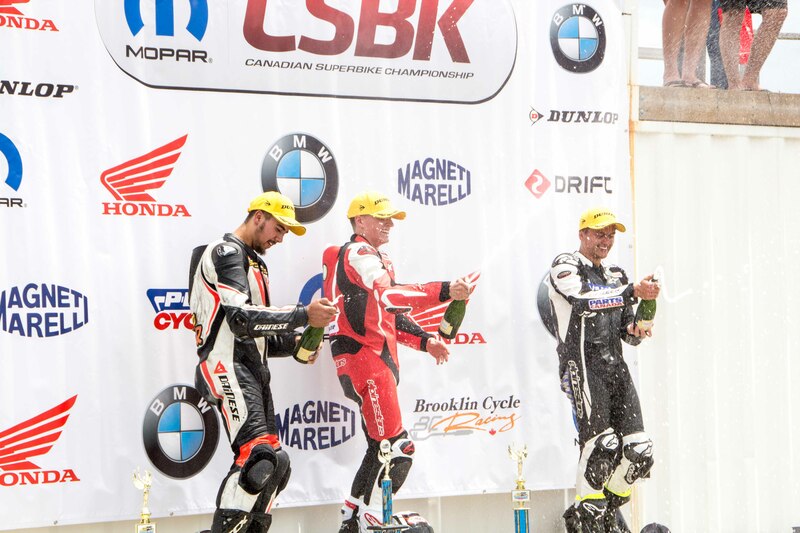 The Canadian Superbike Championship series has been hosting a race event at this track for many years. The track is unfortunately set to close after the 2019 season for future land development. Looking to run the same exact Hindle System that Liqui Moly Pro Sportbike champion Tomas Casas uses? 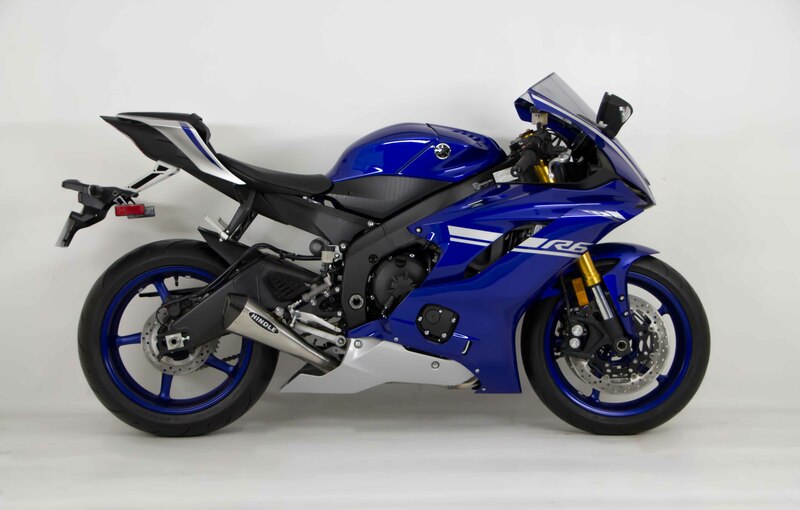 Pick up our super lightweight performance producing Yamaha YZF-R6 Evo Megaphone full system. Available for model years 2006-2018, this system is proven to keep you at the top of your game.